Top Volkswagen executives engaged in a "massive fraud" to intentionally sell diesel cars that violated emissions rules, according to a lawsuit filed Tuesday by the New York and Massachusetts attorneys general. VW has admitted that about 500,000 diesel cars it sold in the U.S. had software designed to cheat on emissions tests. But it repeatedly claimed the deception was executed by lower level employees, without any knowledge of top executives. Last month the company reached a $15 billion settlement with regulators and state attorneys general to compensate U.S. car owners, repair the cars to lower emissions, and to pay environmental fines. 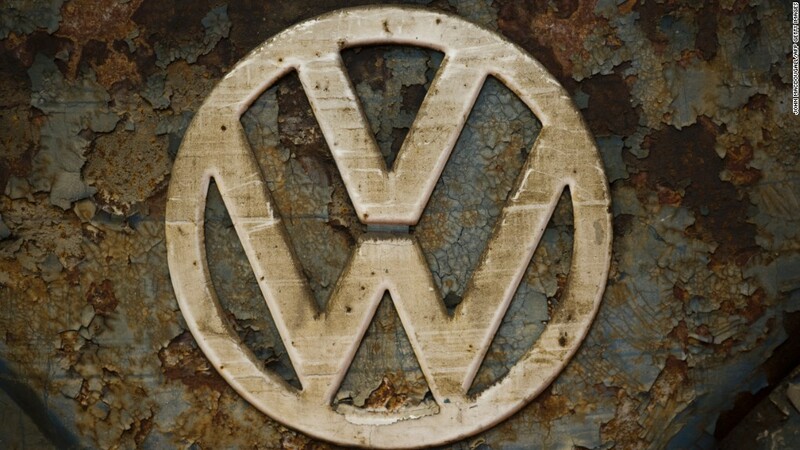 But the new civil suit by New York and Massachusetts would levy additional fines on Volkswagen. It says the state investigations, based on a review of internal emails and documents, shows that the deception reached Volkswagen's top levels. Martin Winterkorn, the CEO of Volkswagen who resigned shortly after the scandal became public, is one of the executives identified in the suit. "This was a widespread conspiracy involving many, many people," said New York Attorney General Eric Schneiderman. The suit also said that Volkswagen tried to maintain the coverup when regulators first raised questions, and only admitted to the wrongdoing when it was presented with facts that could not be disputed. "Today's lawsuits make clear that substantial penalties must be imposed on the Volkswagen companies, above and beyond the amount they have to pay to make American consumers whole," said Schneiderman. "Neither Volkswagen, nor any other car manufacturer, should ever again conclude that it can engage in this behavior as part of the cost of doing business." Volkswagen said the allegations in the suit are not new and they had been discussed with environmental regulators and federal law enforcement officials during settlement talks. It said it continues to cooperate with the investigations.